Restricted to 7 item(s) only. A lovely heart shaped ring cushion. 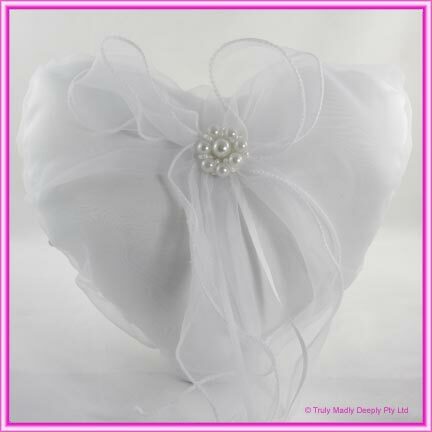 It features a white satin cushion that is encapsulated in a white organza. It then has a big white organza bow with a faux pearl brooch. Ring pillow measures approx. 21x18cm.